Dan "Bally" Keating\n97 years old. Kerry No. 1 Brigade. Flying Colums. IRA 1918-1923\nKeating stands in his garden in Ballygamboon, County Kerry - holding one of the lilies he grows. The lily is the symbol of the Easter Rising of 1916. \nDan Keating was born in 1902 in the townland of Ballygamboon, Castlemaine, Co Kerry. He joined the Fianna in Tralee in 1918 and about two years later joined the Irish Republican Army and served in the Farmer’s Bridge unit. 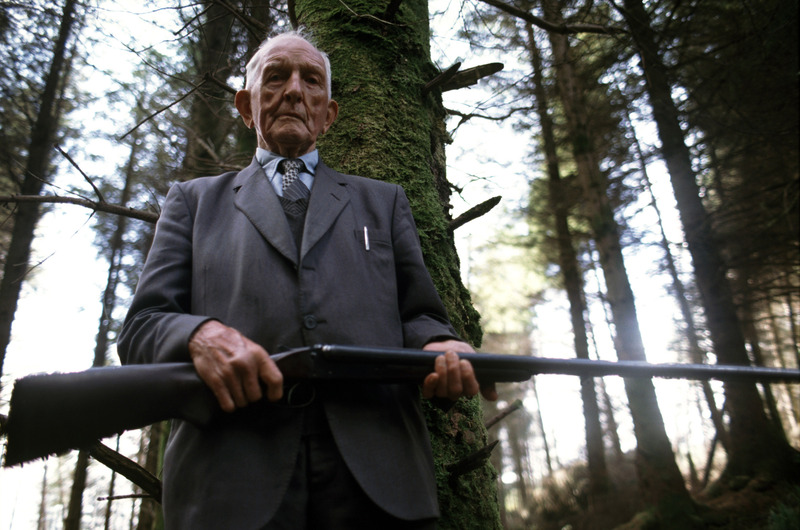 Keating fought through the Black and Tan War, planning some of the fiercest ambushes in his home county. He took the anti-Treaty side in the Civil War, and battled at the siege of Limerick. where he was captured and imprisoned with over 13,000 other republicans.